Milwaukee's 4 3/8-inch Recessed Light Hole Saw is manufactured using carbide grit for cutting through drywall, plaster, acoustical tile, wood and stucco with mesh. Made with a continual rim, these saws won't tear your material and leave a clean finish each and every time. 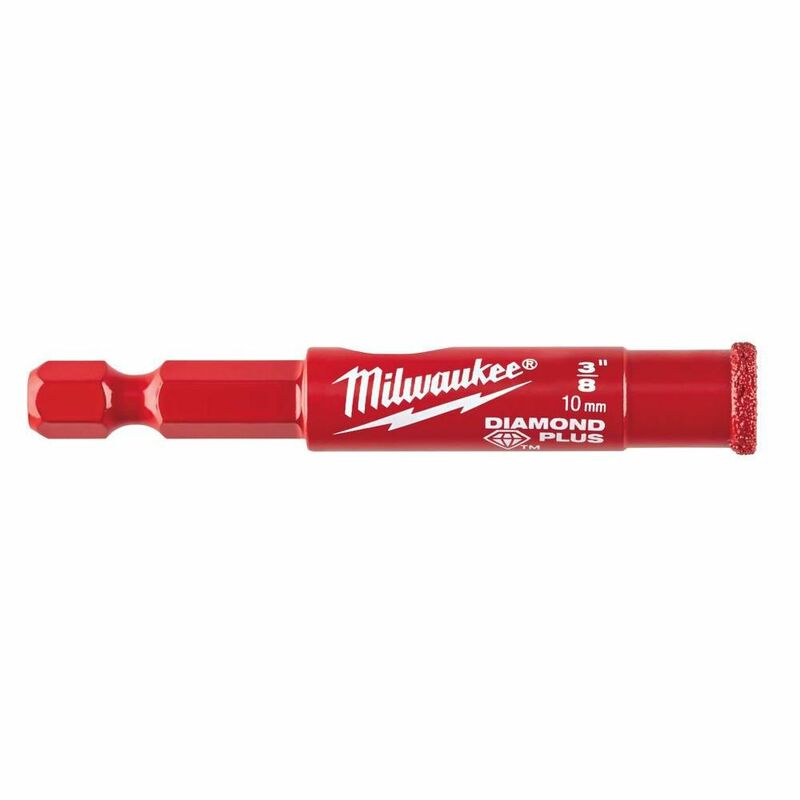 3/8 Inch Diamond Plus Hole Saw Choose the Milwaukee<sup></sup> Diamond Plus Hole Saw for up to 10X longer life when cutting tile, stone and glass. Diamond Plus Hole Saws deliver best-in-class performance, with higher grade diamonds for maximum heat and fracture resistance. An improved braze provides superior diamond retention when cutting hard, abrasive materials. The One-Piece Hole Saw has a 1/4" quick change hex shank and features a large slug ejection slot. Designed as the single cutting solution for all tile, stone, and glass applications, Diamond Plus offers the lowest cost-per-hole on the market. 3/8 Inch Diamond Plus Hole Saw is rated 4.6 out of 5 by 61. Rated 5 out of 5 by Aaron from Works well for drilling porcelain tile.... Works well for drilling porcelain tile. Rated 5 out of 5 by John from The drill bit exceeded my expectations! Great quality! The drill bit exceeded my expectations! Great quality! Rated 5 out of 5 by Robert from Lasts longer than the other brands. Lasts longer than the other brands.